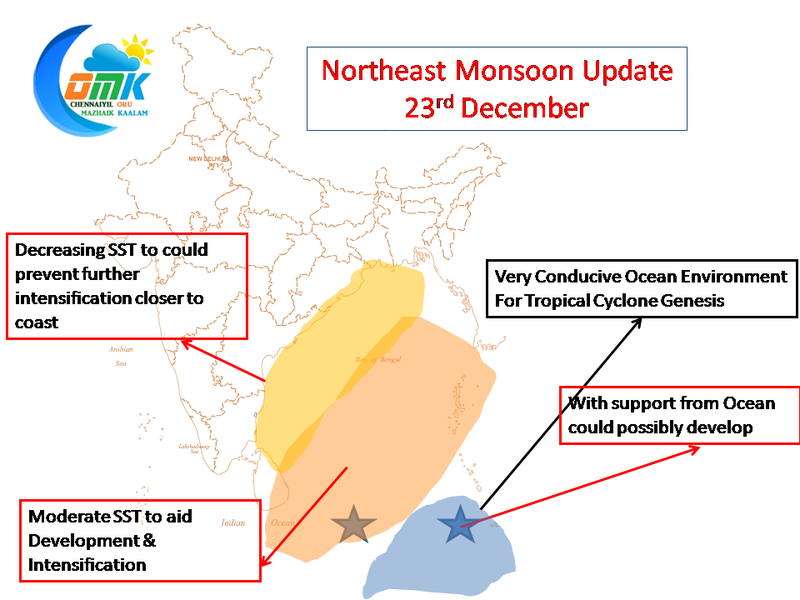 The South East Bay is extremely conducive for Tropical Cyclone Genesis in terms of support from Ocean by way of very good Sea Surface Temperature. 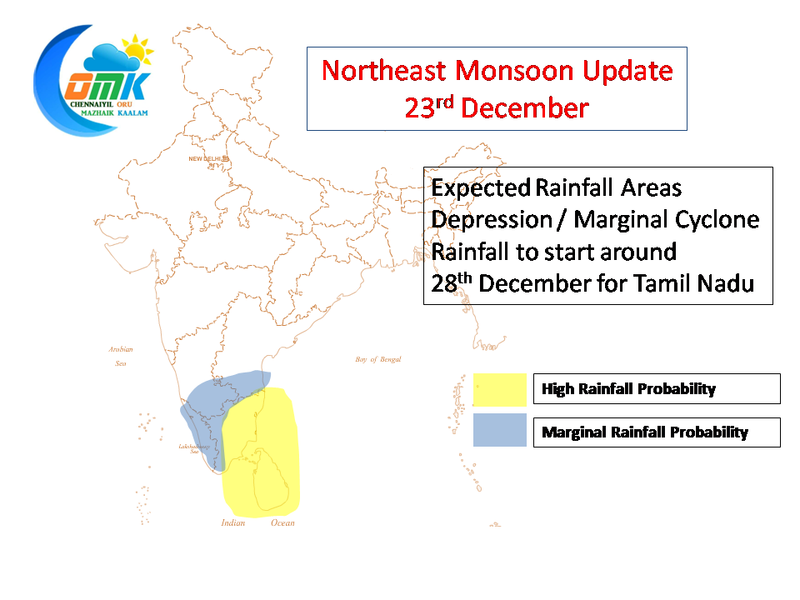 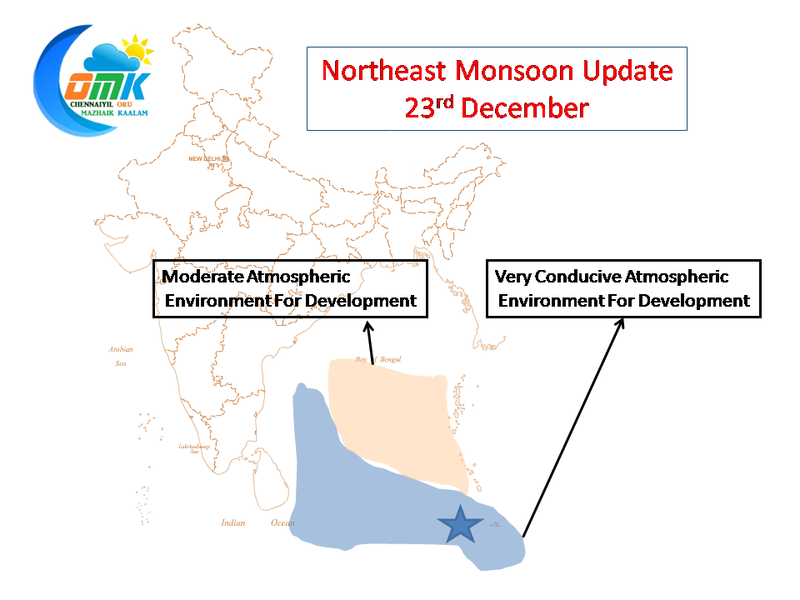 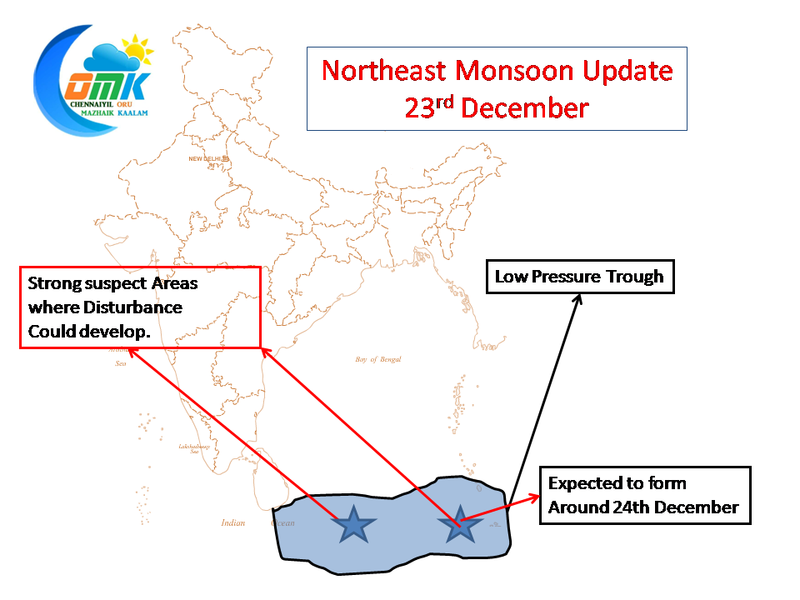 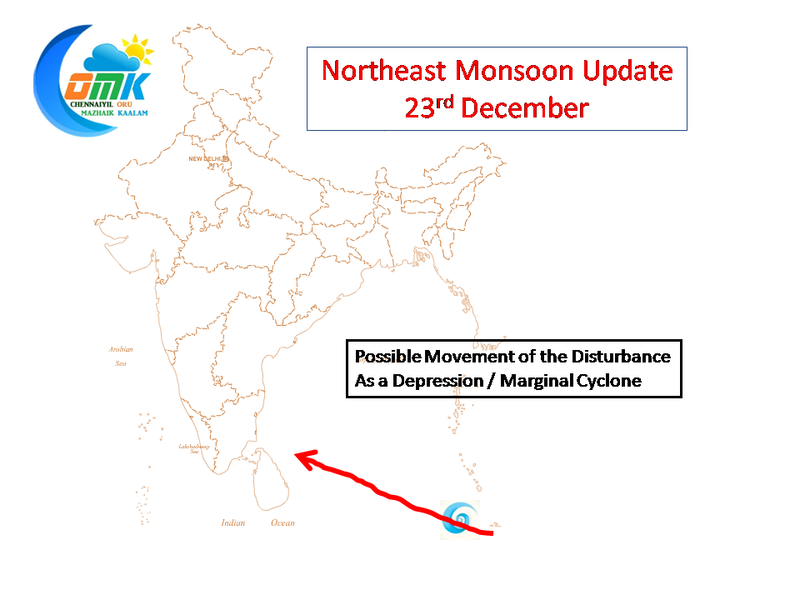 Taking into account prevailing conditions we expect the disturbance to become a Depression or a Marginal Cyclone while it reaches just off Sri Lanka. 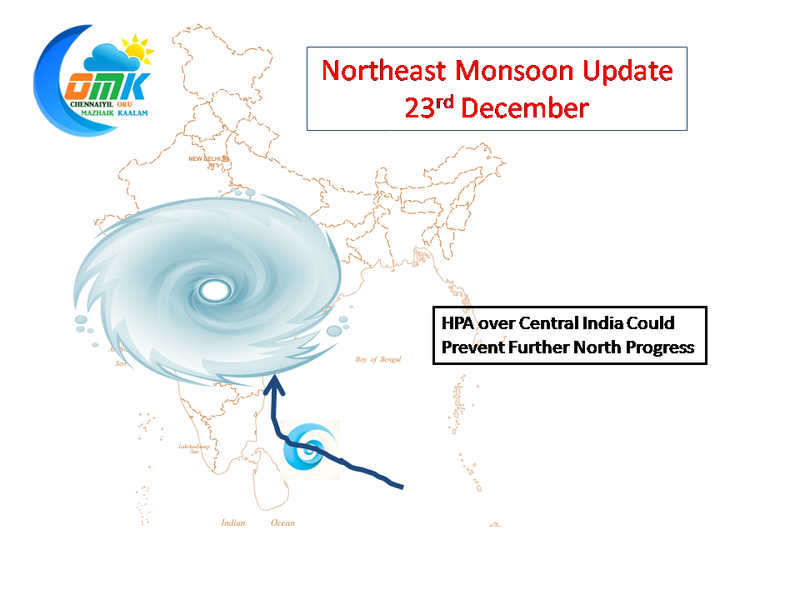 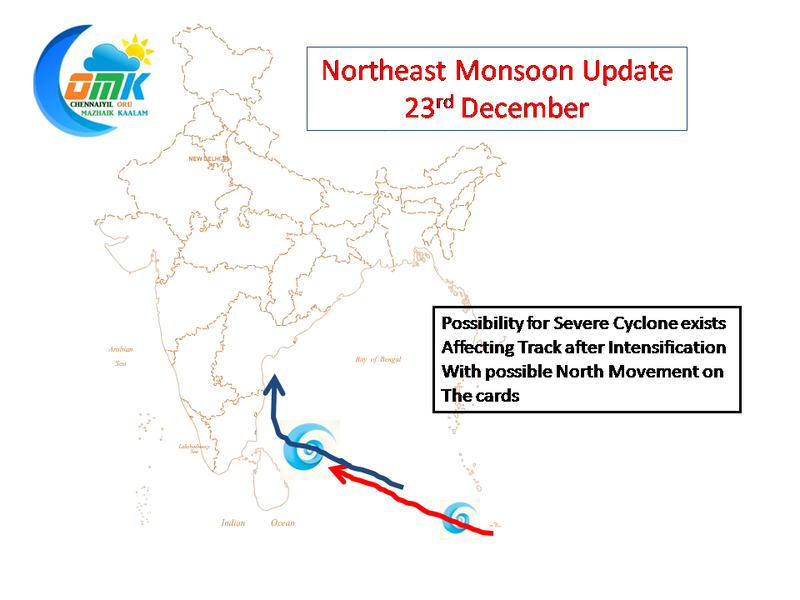 There is a possibility the system could intensify further and become a Severe / Very Severe Cyclone which could alter the track and make it take a Northward turn, though the presence of a very strong HPA over Central India could prevent any movement beyond 15N.